Paris, c.1845. 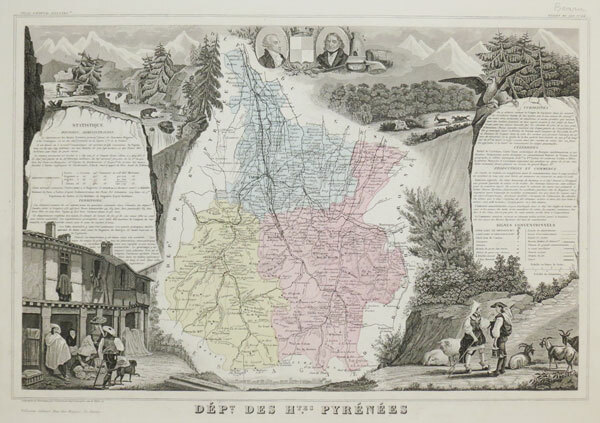 Detailed map of Hautes-Pyrénées, surrounded with vignettes, including portraits of Barrere & Larrey, local dress, bear-shooting and examples of the produce of the departement. Published in the 'Atlas National Illustré'. Amsterdam, 1644. Savoy, marking Geneva, Grenoble and Chamonis. Amsterdam, c.1650. 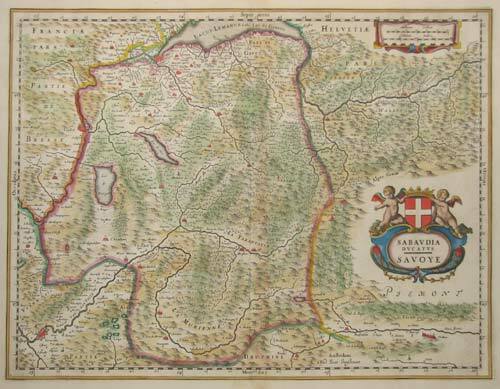 Savoy in southern France marking Grenoble and Geneva. Augsburg, c.1730. A detailed map of Paris, coloured to differentiate the Faubourgs. Antwerp, 1592, Latin text edition. Two maps on one sheet: Oberpfalz in Germany after Erhart Reych and Strassbourg after Daniel Specklin, published in the 'Civitates Orbis Terrarum'. Basle, Henry Petri,1628, German text edition. A map of the Rhinelands from Strasbourg to Koblenz, orientated with north to the left.